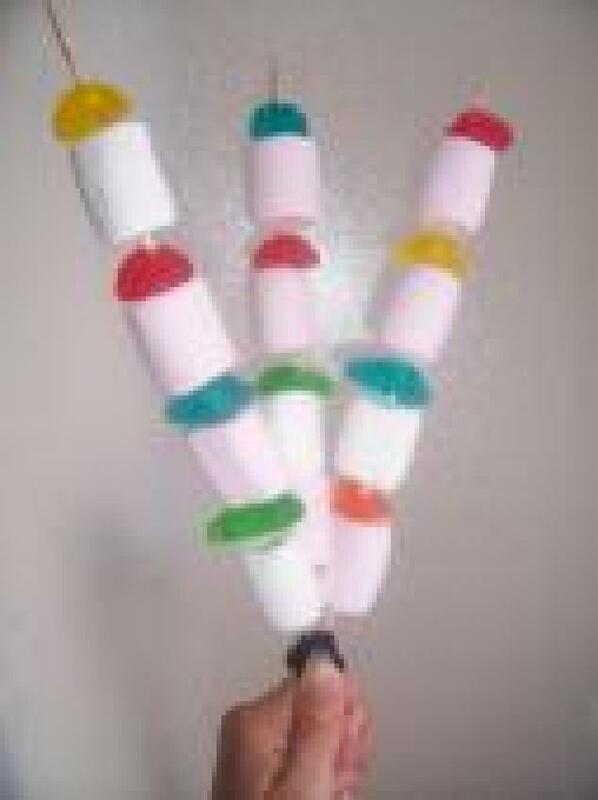 1) Thread the sweets on the sticks, alternating the colours. The result will be nicer to the eye! Once you've fashioned all your greedy sticks, tie them at the base with the elastic. You can also add a small knot cut in the paper and glued on the elastic. 2) To wrap up your bunch of sweets: cut a generous piece of metallic paper. Put the bunch on it and gather the base, just as a florist would do! Lastly: make a knot with the coloured ribbon. 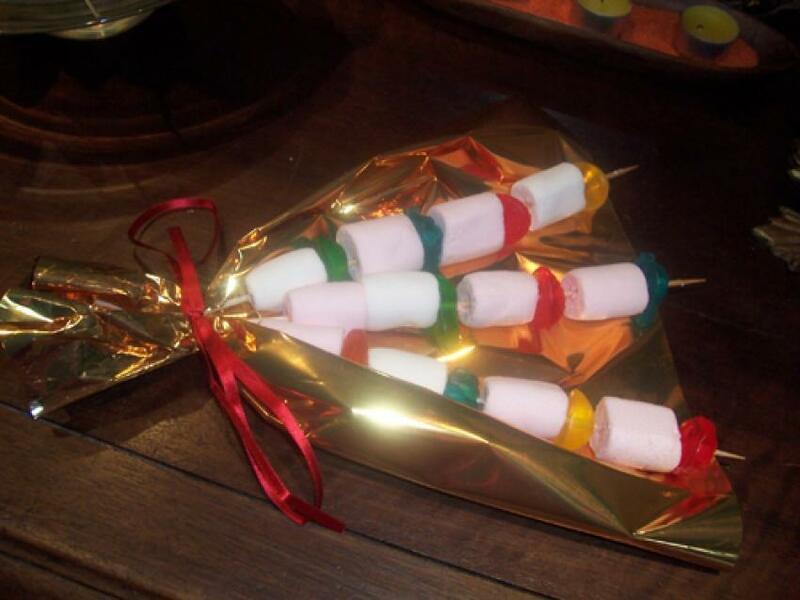 Here goes an original bunch of sweets that your mom will enjoy if she's as greedy as you are!